n a world of confusing model numbers, there’s no denying that the “ps3toothfairy” stands out as one of the more memorably named products in this roundup – and even home theater accessories in general. But it also distinguishes itself from the group by falling in at the lower end of the price scale, while continuing to offer a good selection of advanced features. The ps3toothfairy is a two-part product, with a custom-designed circuit board that connects to the main control board from Sony’s official Bluetooth remote. This allows for a lower initial cost to current owners of the Sony remote, since they can upgrade to full IR capabilities economically by buying the base ps3toothfairy kit for $64 USD and merely extracting the Bluetooth board that they already own (although doing so means that the original remote will no longer function). Or, buyers can opt to purchase a completely pre-assembled version for $89. Utilizing the official circuit board in the adapter does have an advantage, since as far as the PS3 is concerned the ps3toothfairy looks and operates exactly like the original Sony remote. The ps3toothfairy itself measures 2.64” wide, 1.10” high and 3.60” deep (6.7cm by 2.8cm by 9.1cm). 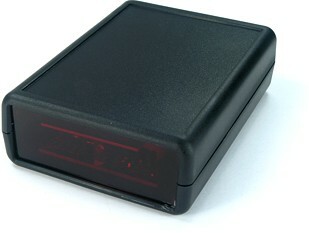 An infrared receiver and red status LED are located on the front, with a 3.5mm wired IR input and external power plug on the back. The power plug has a 5.6mm outer diameter, and accepts an input range of 3.3 to 12 volts DC. 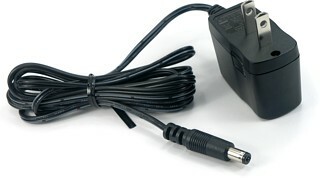 A compact adapter can be purchased direct for $10, or if you have an always-powered USB port nearby (such as on some set top boxes) you can purchase a special USB conversion cable with the appropriate 5.6mm connector for $7. Note that the PS3’s USB port cannot be used for this as it does not supply power when the console is off. As with most adapters in this roundup, the ps3toothfairy utilizes the base Sony DVD codeset with PS2 extensions. Three additional custom Sony-based codesets are also available, so if you have a PS2 or a regular Sony DVD player you won’t have to worry about PS3 commands conflicting with your current devices. Thanks to these distinct custom codes it’s also possible to use multiple adapters in the same system. Everything needed for the ps3toothfairy is pre-configured in the Logitech Harmony database, and documentation is provided on the official website for generating Pronto hex codes for use with numerous computer programmable remotes, as well as EFC codes for JP1-enabled remotes. Prepared Pronto hex codes can be downloaded, and ready-to-use Pronto .CCF and .PCF configurations are also available. Other remote-specific configurations are not offered. Pairing the ps3toothfairy with your PS3 system is a somewhat lengthier process than the other products in this roundup, but it’s been made more intuitive thanks to the front status LED. First, apply power to the ps3toothfairy and wait for the status LED to turn off. Next, enable pairing mode on the console and press the [Angle] button on your remote. The status LED on the ps3toothfairy will blink twice, and within 5 seconds press and release the [Start] button, causing the status LED to remain lit. Finally, hold the [Enter] button until the PS3 itself finishes the pairing process. The ps3toothfairy offers a range of configuration options, accessed by pressing [Angle] during the 10-second initial bootup process, entering a setting number and finally inputting a numeric value.